When it comes to your roof, finding the right expert for the job can be as strenuous as a “DIY” home repair. How will you ever be able to find someone who’s trustworthy, honest, and professional? Keep these tips in mind when you’re on your search for a roofing specialist and you’ll be sure to protect your home and your wallet in the process. 1. Choose a local contractor. If you hire someone from your local community, you prevent the chance of breaking any local rules and regulations. If something does happen to go awry, you can rest assured knowing help is just minutes away. 2. Ask about their license/insurance. Make sure the contractor you’re hiring shows you their license and insurance certificate – and don’t forget to confirm that they’re valid! This way, if something were to happen, you’ll be covered. 3. Research BBB ratings. Stay away from contractors who aren’t featured on BBB.org. Through reviews from real customers, the Better Business Bureau helps you find businesses, brands, and charities that you can trust. 4. Discuss their available materials. A great roofing contractor has a good relationship with their suppliers, which means you’ll have various options to choose from. From shingle, cedar, tile, and clay, Landmark Exteriors offers extensive design and color choices for your home. 5. Communication is key. Did they return your calls? Did they send over the documentation you requested? When you have questions or concerns, it’s imperative that your roofing contractor doesn’t leave you in the dark. 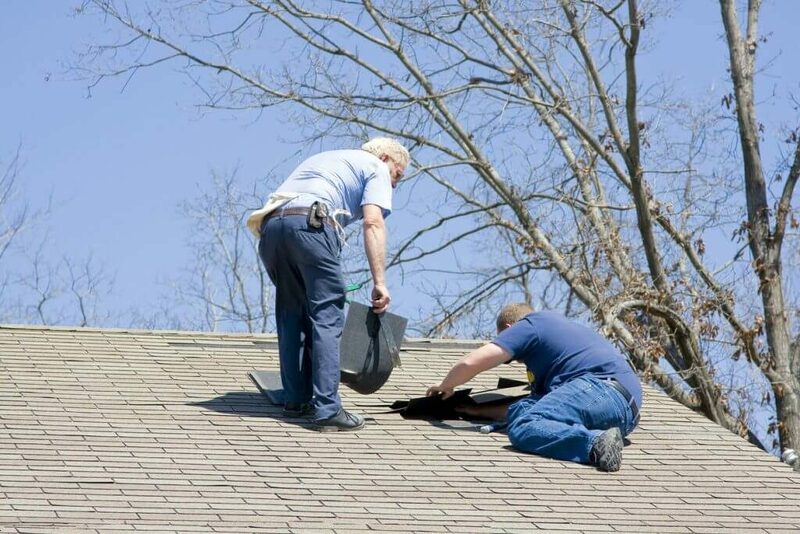 Have questions about your roof? We’ve got your answers. At Landmark Exteriors, we offer only the top-quality roofing materials to provide our customers with durable, weather-resistant, guaranteed roofing solutions. Our experienced and well-trained installation professionals are experts at installing and are ready to take on your next home renovation project! To speak with our professional staff about a new roofing installation, give us a call at 203.838.3838 or visit us on the web. I really like what you had to say here in regards to choosing the right roofing contractor for your home. As you explained, you should look for a contractor who is not only local, but you should find someone who is licensed and insured. With the snow coming, we want to make sure that our roof is safe and secured. Thanks again for the post, and we will check the BBB before we decide on a contractor!